New S+ Pendant Release, Pendant batru lagi keluar, pendant yang lebih baik dari Royal Family Pendant. Ability: When enhanced to the Max lv., Get Extra 340% of the Original Allowance when landing on START at your first turn. 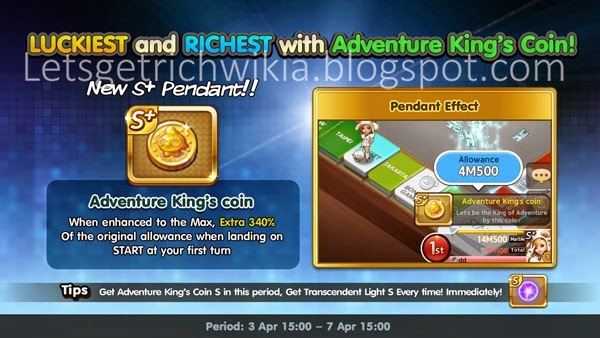 Tips: Get Adventure King’s Coin S in this period, Get Transcendent Light S Every time! Immediately !